It’s not all that unusual for a company that makes something other than cars to try its hand at making a car, or even to switch over completely. Often times, these are companies that make heavy machinery, but sometimes its something completely unrelated, like search engines or rockets. Pierce-Arrow, one of the great luxury carmakers from the early days of the automobile, got its start building bird cages. Pierce-Arrow would try unsuccessfully to build a steam-powered car under license, before giving up and going into internal combustion in 1901. By 1909, President Taft ordered two Pierce-Arrows for the White House, and in the early ’20s, actor Sessue Hayakawa ordered a gold-plated one just to show off his wealth. Though Pierce-Arrow had gotten off to a good start, the depression hit luxury carmakers hard, and Pierce-Arrow knew it had to do something big in order to stay afloat. Companies like Packard and Cadillac had actually brought out bigger and more expensive cars since the stock market crash, flagship models that brought people into the dealerships, even if those people ended up actually buying cheaper models. So Pierce-Arrow announced the Silver Arrow in 1933, a car that had a huge impact on automotive design, even if the company only lasted a few more years. 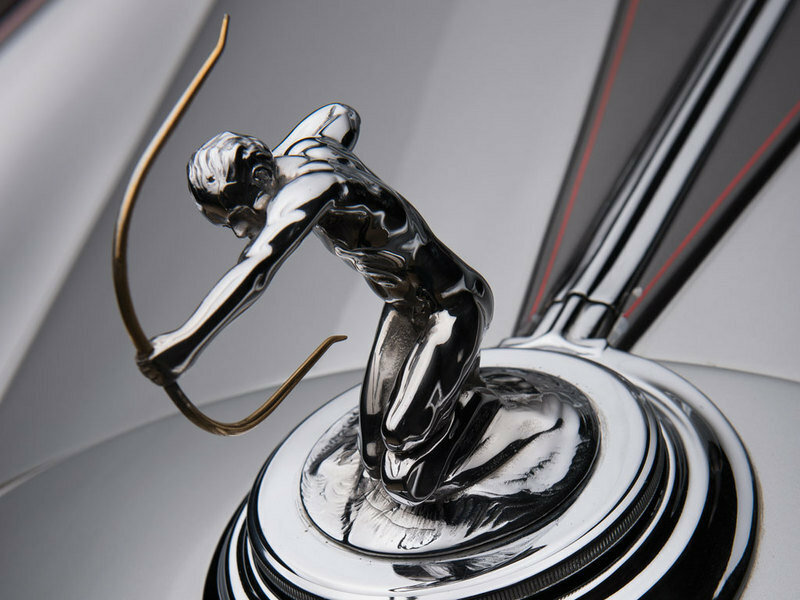 Continue reading to learn more about the 1933 Pierce-Arrow Silver Arrow. At a glance, and so many years after it first debuted, the importance of the Silver Arrow might not be obvious. It looks like a lot of cars from the ’30s, especially expensive cars. But, it would be more accurate to say that those cars look like this one, as this was really the first car to introduce the art moderne design style to automobiles. This was still a fairly new design style at the time, and it is largely seen as a means of adapting art deco to the realities of the depression. It is a simplified form of art deco, known for being stripped of much of the ornamentation of earlier art deco while keeping the flowing lines and streamlined shapes. 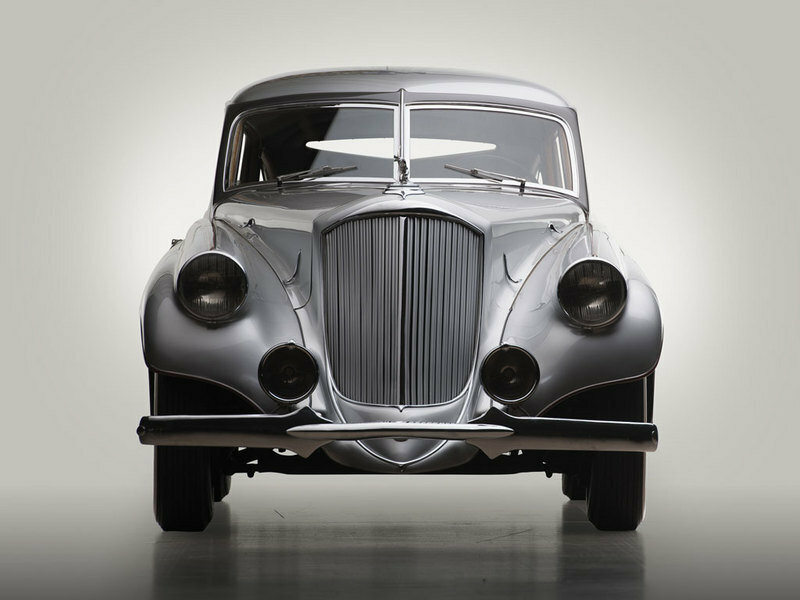 It was naturally a style that suited automotive design well, and this was recognized by Pierce-Arrow designer Phil Wright, who had been given the task of creating a car that could not be ignored. 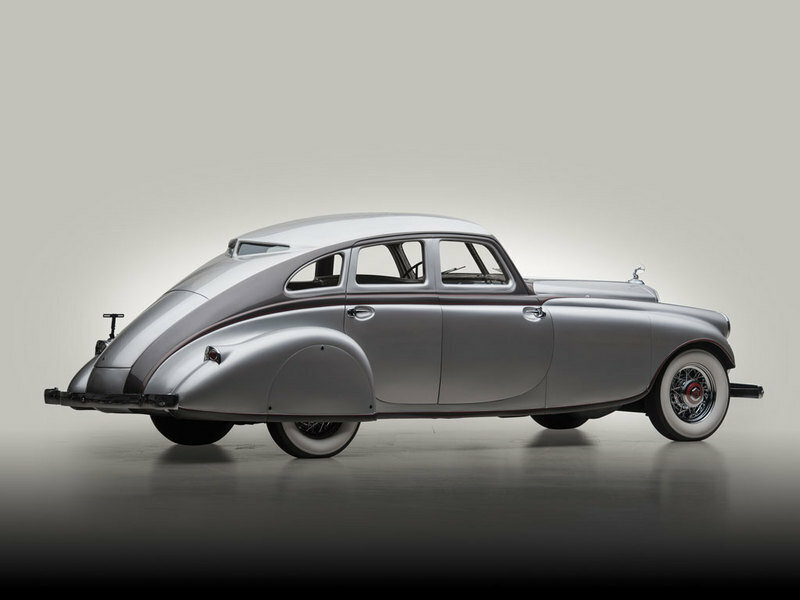 The car was shown at the 1933 Chicago World’s Fair, where it stole the show, even while sitting next to a one-off Duesenberg Model SJ that cost twice as much. In addition to being on the cutting edge of design aesthetically, the Silver Arrow design put a lot of emphasis on aerodynamics in a way that wouldn’t become standard for other manufacturers for more than a decade. This included flush-sided front fenders with integrated headlights, a roof that sloped back to the rear end, and door handles that were recessed into the bodywork. It was also typical for cars of the day to have spare tires mounted on top of the fenders. The Silver Arrow stores them in the same place, but since the fenders are flush, the tires are located in a special compartment inside the fender and out of the airstream. And, it might not seem that way by today’s standards, but the hood was made as low as possible. Many of the other cars of the day used inline engines, and the hoods of those cars needed to be very tall as a result. 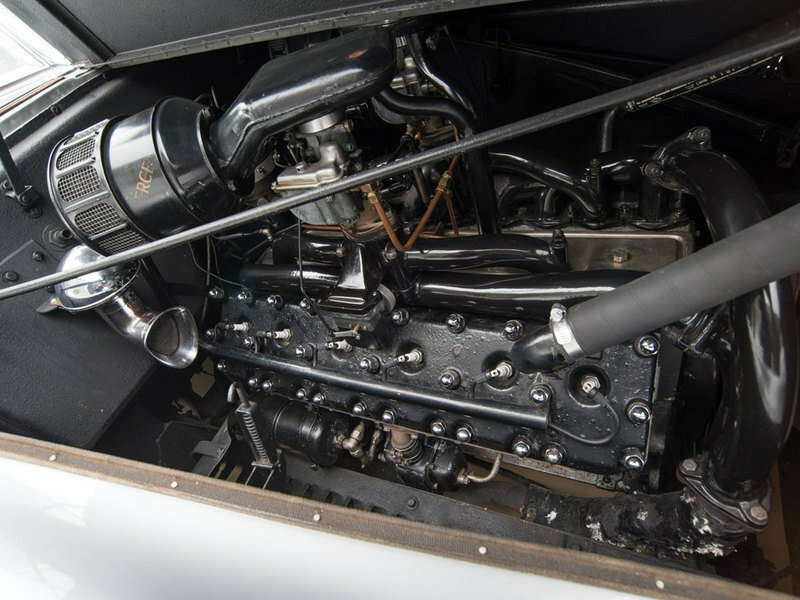 Even cars that used V engines followed the same aesthetic, but the Silver Arrow’s engine was built with a wide V specifically to accommodate a lower hood. This particular car was restored, but that was back in the early ’90s, and you can see a few spots where the paint is less than perfect, although it is in excellent shape. The art moderne theme is continued inside the car, from the copious veneered wood to what is one of the most art deco instrument panels ever put in a car. The cloth interior is a little unusual for such an expensive car, just as it would be in a luxury car today, and this one is showing a little bit of wear as well. 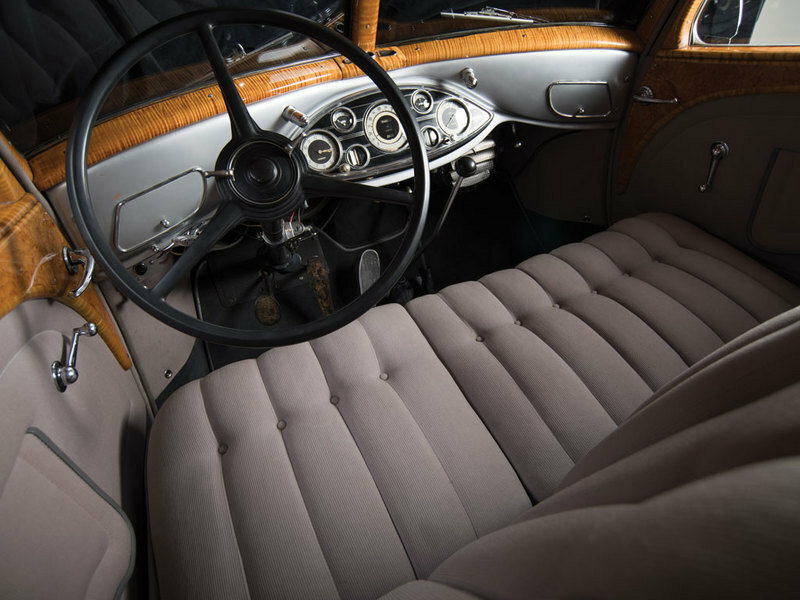 The interior of the car was as revolutionary in its design as the exterior. This was what would later come to be known as a step-down interior, so named because the interior was placed between the frame rails instead of on top of them, as was the norm at the time. You therefore had to step over the frame and down into the interior. The design allowed for a lot of headroom while still keeping a low roofline, and was therefore more aerodynamic. This was later popularized by Cord and then Tucker, but the Silver Arrow predates both. Pierce-Arrow spent 1932 developing a really serious V-12 engine to compete with the one offered by Packard, as well as the V-16 offered by Cadillac. A prototype was torture tested at the Bonneville Salt Flats, running 2,710 miles in 24 hours with no mechanical problems. The engine and chassis proved bulletproof, and the Silver Arrow was built essentially as a way of attracting attention to this new and very well made flagship engine. During 1933, Pierce-Arrow test driver Ad Jenkins would set 79 world speed record with a special car modified to produce 207 horsepower. The production version wasn’t quite this powerful, but the 160 horsepower it produced was the same as that of the Packard Twelve. So in terms of performance, it was roughly on par with the other engines of the day, at least for big luxury cars like this. It was coupled with an excellent chassis, and that makes a huge difference. The Silver Arrow has a lot of the qualities that make a car valuable, but one of the most important is rarity, and this is certainly a rare car. Here it is important to note that there were two different models called Silver Arrow. There was a production model of the car built after this model, with more conservative styling and a V-8 engine, but this is not that car. This is what we would call a concept today, but Pierce-Arrow actually built five units of it, with every intention of selling them to the public at a price of $10,000 each. 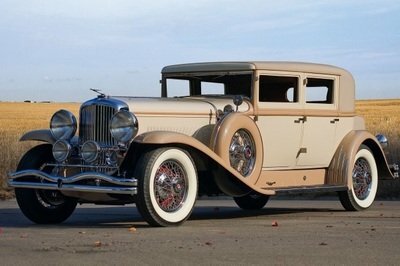 At the time, some versions of the Cadillac Sixteen were selling for about $8,000, so what Pierce-Arrow was asking for the Silver Arrow was an enormous sum, hence the limited production. Only three of the original five cars still exist, so even though it has been about 20 years since this one was restored, it is still immensely valuable. RM Auctions has estimated that it go for somewhere between $2.5 million and $3.0 million. Most prewar American carmakers tended not to bother too much with motorsports. Building a luxury car that could also win races was a European thing, but Duesenberg was determined to prove that the American take on luxury was just as compatible with fast driving. So Duesenberg would follow up a long list of motorsports wins in the ’20s with a hugely powerful flagship car for the ’30s. 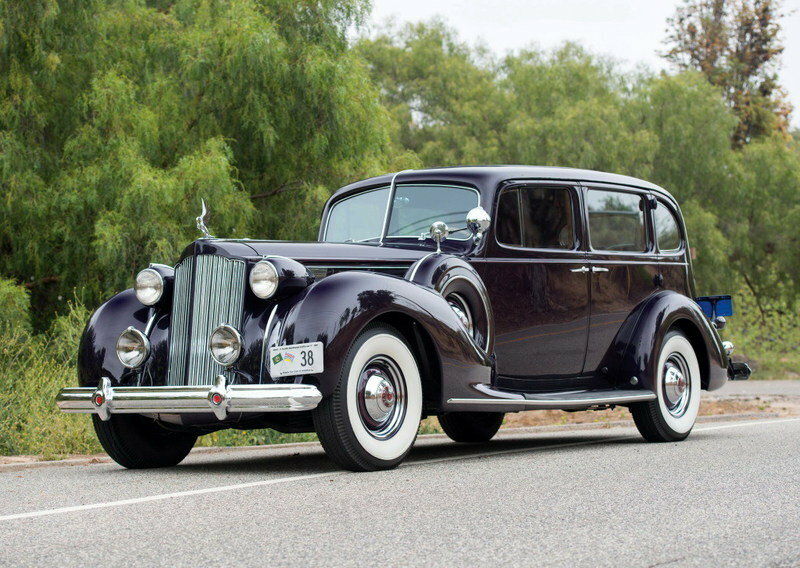 The Model J was the last word in American luxury, selling for double what the competitors’ flagship models went for. And the Model SJ, a supercharged version of the J, also packed double the horsepower. All of the bodies and interiors were custom, and some of the finest in the world. 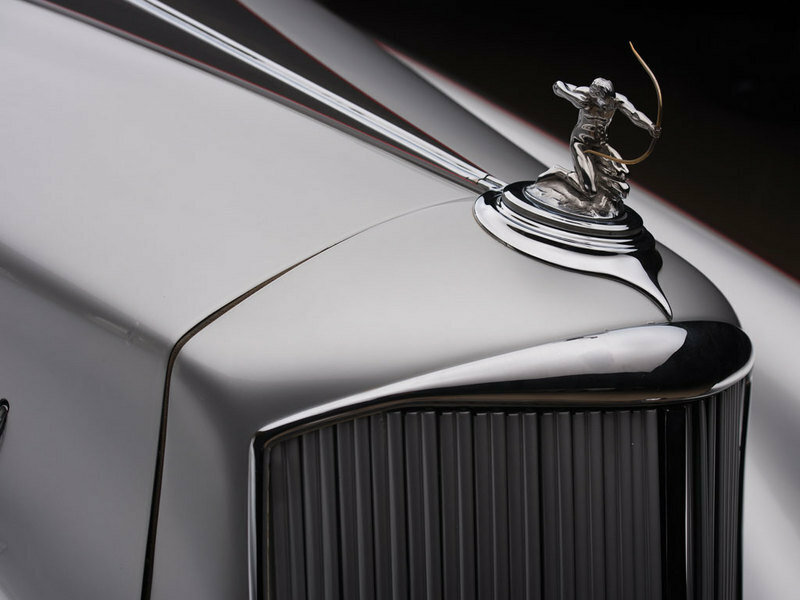 Packard didn’t invent the V-12, but it was the company that first popularized the idea in America that a really top-end luxury car had to have more than eight cylinders. The idea was first put into development in 1913, long before Packard’s rivals were working on anything like it. But, the Twelve was actually the second generation of twelve-cylinder Packards, and as such was very refined. It sold in much bigger numbers than other V-12 American cars at the time, and today they might not be exactly common, but you can get one for one-tenth the price of a Silver Arrow. 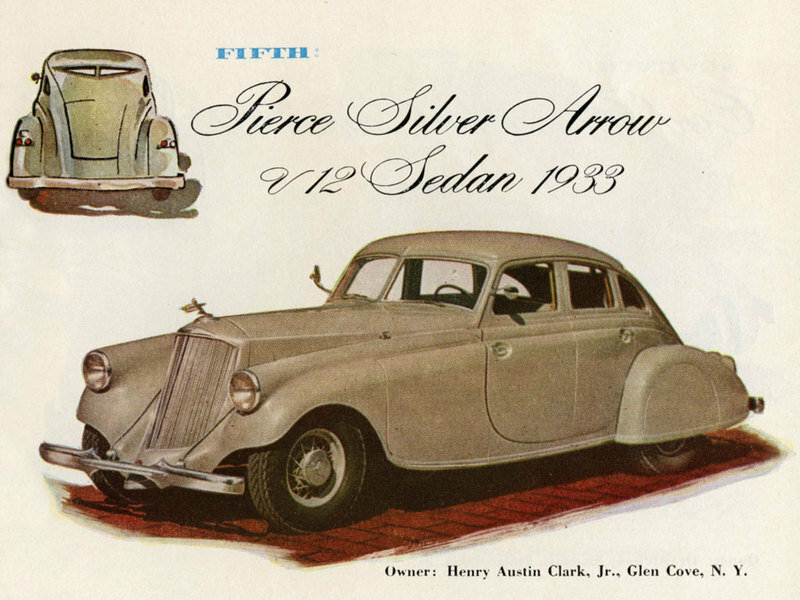 The Silver Arrow might not have saved Pierce-Arrow from going under — a common fate of luxury carmakers that were unable to adapt to the realities of the depression — but it had an undeniable impact on the automotive world. Prior to this, art moderne/streamline moderne and even art deco weren’t seen so much in the automotive world. The Silver Arrow is where the popular design style of the time is finally incorporated into the automotive world. Not only that, but the car was a pioneer of automotive aerodynamics, predating the famous Chrysler Airflow by a year. And, on top of all of that, it just plain looks good. It’s a highly desirable car, but then again, that’s why it’s so valuable.